The FDA Food Safety Modernization Act, signed by President Obama January 4, 2011, amends the Federal Food, Drug, and Cosmetic Act to establish a prevention-based food safety regulatory framework. There is a significant focus on imports, given that 15-20 percent of this country's food supply is imported, from over 300,000 foreign facilities in more than 150 countries. The new import provisions increase importers' responsibility for food safety. Leslie Krasny is a partner in the San Francisco office of law firm Keller and Heckman LLP (www.khlaw.com). In addition to FSMA, importers will be affected by the ongoing implementation of the Predictive Risk-based Evaluation for Dynamic Import Compliance Targeting (PREDICT), a new screening system for import admissibility determinations. This summary addresses key FSMA import provisions and the status of the PREDICT system. 1. Foreign Supplier Verification Program. By January 2013, importers must use a foreign supplier verification program (FSVP) to ensure imported food is not adulterated or misbranded and is produced in accordance with FSMA's hazard analysis and risk-based preventive controls or standards for produce safety, as applicable. 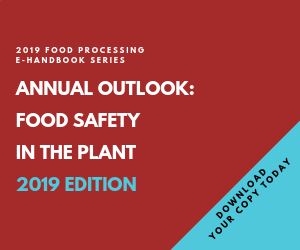 January 2012 is the deadline for regulations, but FSVP requirements are effective two years after FSMA enactment even if no regulations have been issued. Importers are required to maintain FSVP records for at least two years. FSMA authorizes FDA to require safety certifications for high-risk food imports. Certifications may be obtained from an accredited third party or an agency or representative of the foreign government. FDA must base its determination that certification is required on the risk profile of the food, taking into account factors such as the known safety risks associated with the food or with the country of origin, or a scientific finding by FDA that the food safety programs in a country are inadequate to ensure safety. FDA must be notified, prior to import, if a food has been refused entry into another country. FDA is required to establish a system for the recognition of accreditation bodies to accredit third-party auditors. Once the system is in effect, FDA must publish a list of accreditation bodies and accredited auditors. Auditors are required to notify FDA immediately upon discovery of any condition that could cause a serious risk to public health. FDA can withdraw accreditation if a facility is linked to a foodborne illness outbreak. FSMA authorizes the establishment, within 18 months from enactment, of a voluntary qualified importer program (VQIP) to permit fee-based expedited review and importation of food from eligible importers. To be eligible for VQIP, food must be imported from a facility that has been certified by an accredited third-party auditor. FDA may refuse to admit imports from a facility if U.S. inspectors or agents had asked to conduct an inspection there but were not permitted to do so. The purpose of PREDICT is to improve FDA's ability to identify higher-risk imported products for examination and sampling, which also will expedite the entry of lower-risk products. PREDICT generates a numerical score by using a database to analyze risk criteria, including information about the product, manufacturer, importer, country of origin, historical data, lab results, facility inspections, recalls (foreign and domestic) and natural disasters. If the PREDICT score is above an FDA-specified threshold, inspectors are directed to examine the product. FDA Commissioner Margaret Hamburg testified before the House Energy and Commerce Subcommittee on Oversight and Investigations on April 13 that technical problems with the system have been resolved and the new software should be operational at all ports of entry by the end of 2011. FDA emphasizes that inaccurate or incomplete labeling information may result in higher scores and a greater likelihood of examination. An early pilot test of PREDICT on imported seafood nearly doubled the percentage of field examinations and increased by one-third the percentage of laboratory examinations compared to the levels under the Operational and Administrative System for Import Support. If there are still significant increases in the number of examinations when PREDICT is fully implemented, it is unclear whether FDA will have sufficient resources to complete reviews of flagged products in a reasonable time period.